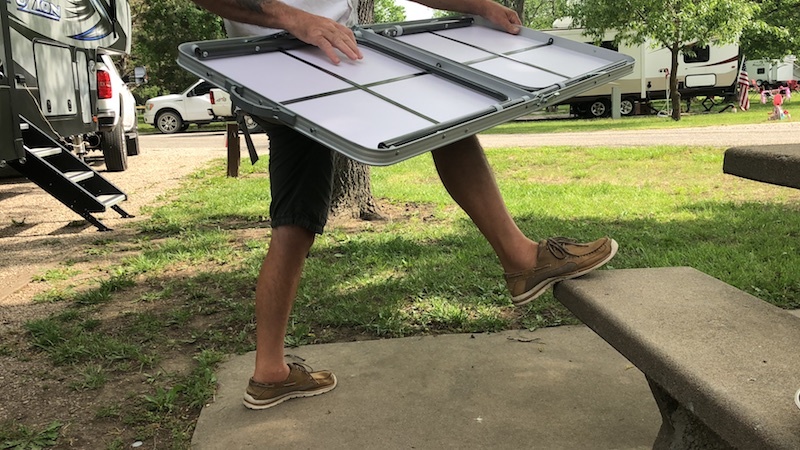 Adjustable Height Folding Camping Table | Be Plum Crazy! 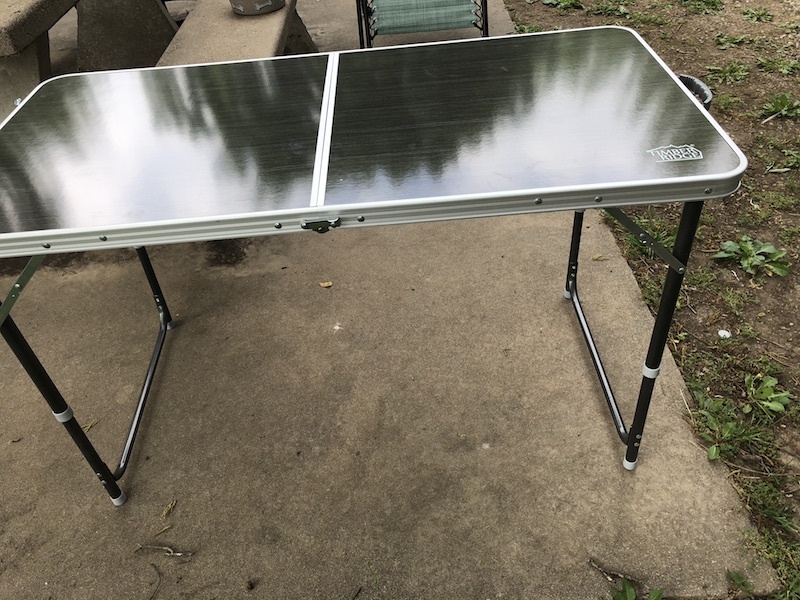 I received the Adjustable Height Folding Camping Table in order to facilitate my review. All opinions are my own and may differ from yours. Just Plum Crazy only recommends products we use and feel meet or exceed our expectations. 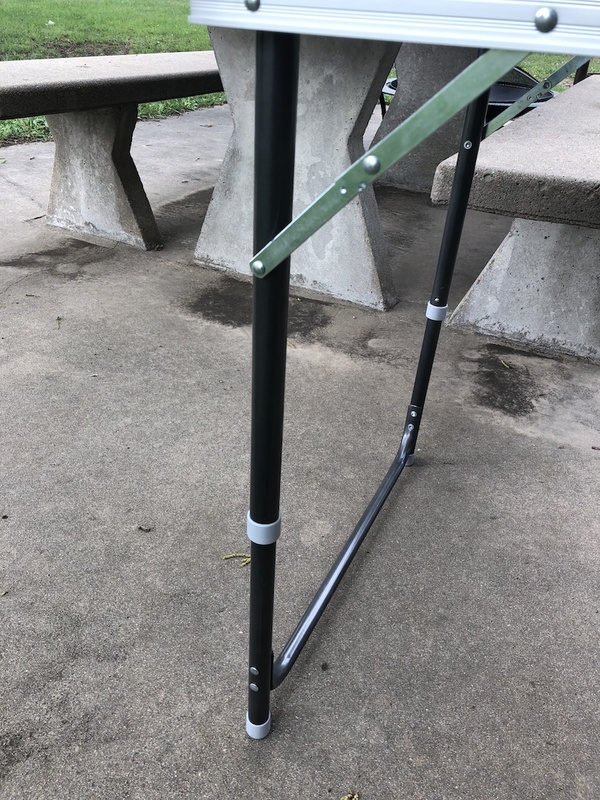 Adjustable Folding Camping Table From Timber Ridge! Have you ever bought something and wanted to use right away? 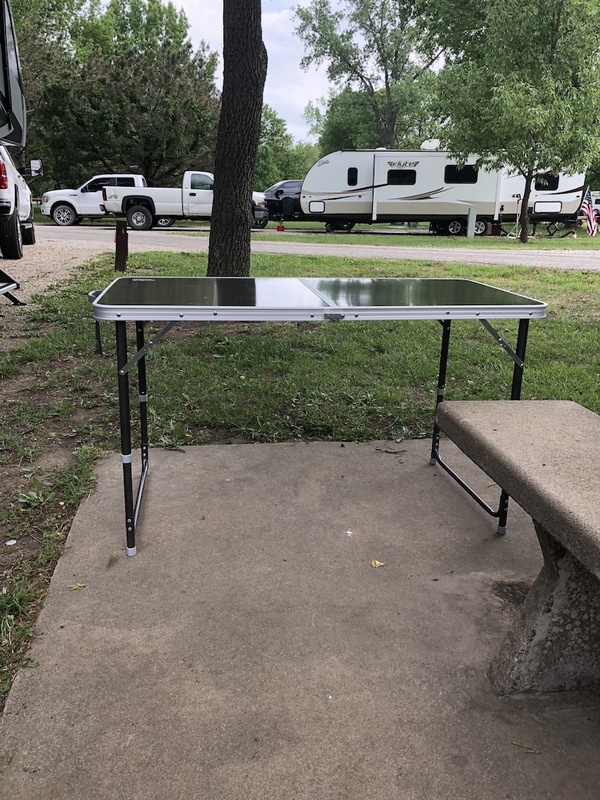 Well this folding camping table is one of those things and we have had nothing but rain these past couple weeks preventing me from doing that. But the rain has stopped and I was finally able to use it. Most camping spots have a picnic table but you still need something to set your grill, griddle, food, etc. 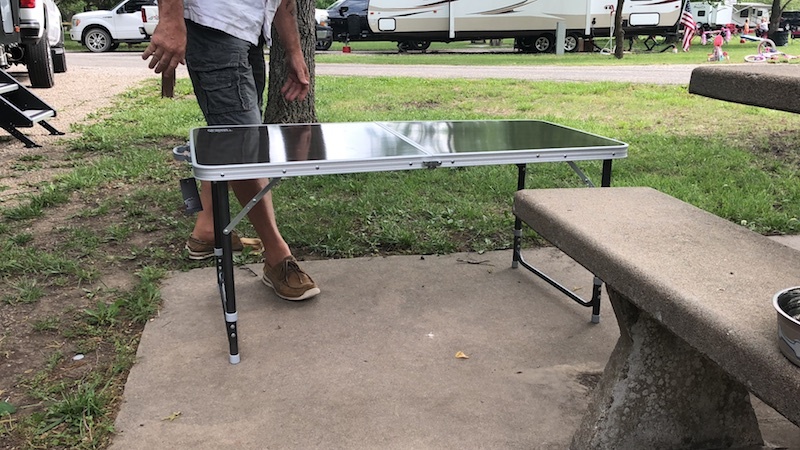 on and this folding camping table with adjustable legs is perfect for anything. 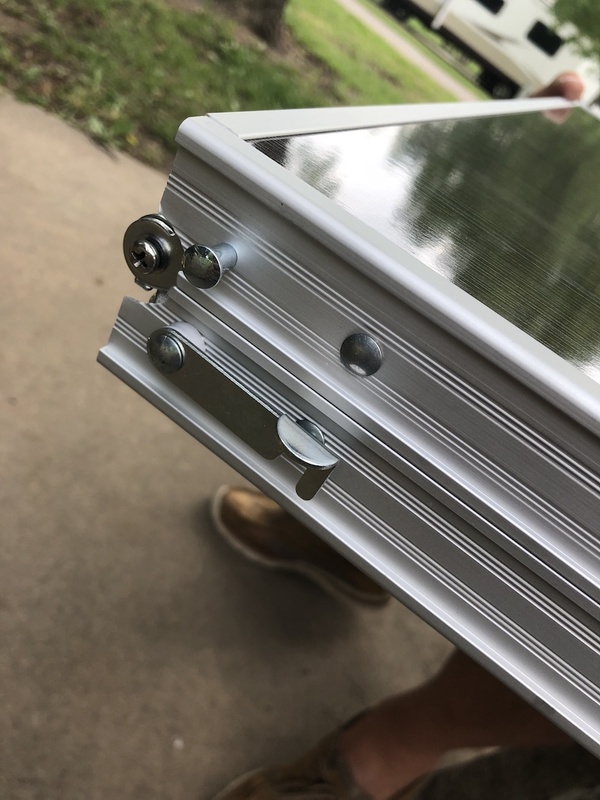 The table comes from Timber Ridge – a leading brand in the camping world. 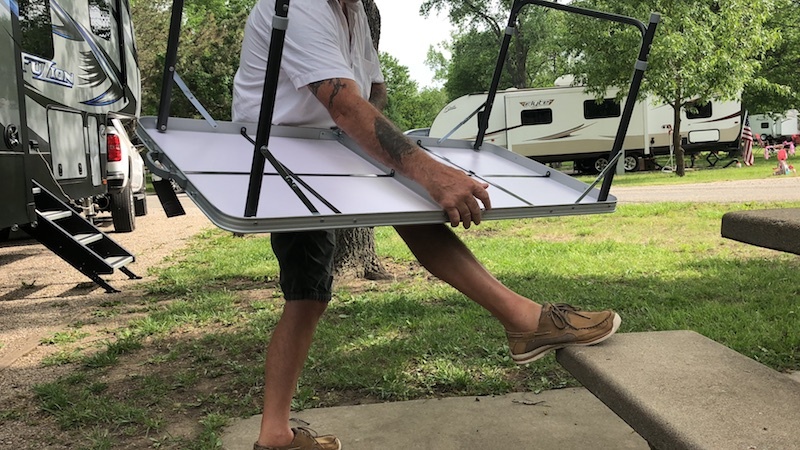 It is proving to be a very sturdy and stable table that we will use for many years as we continue our camping and RV’ing journey. 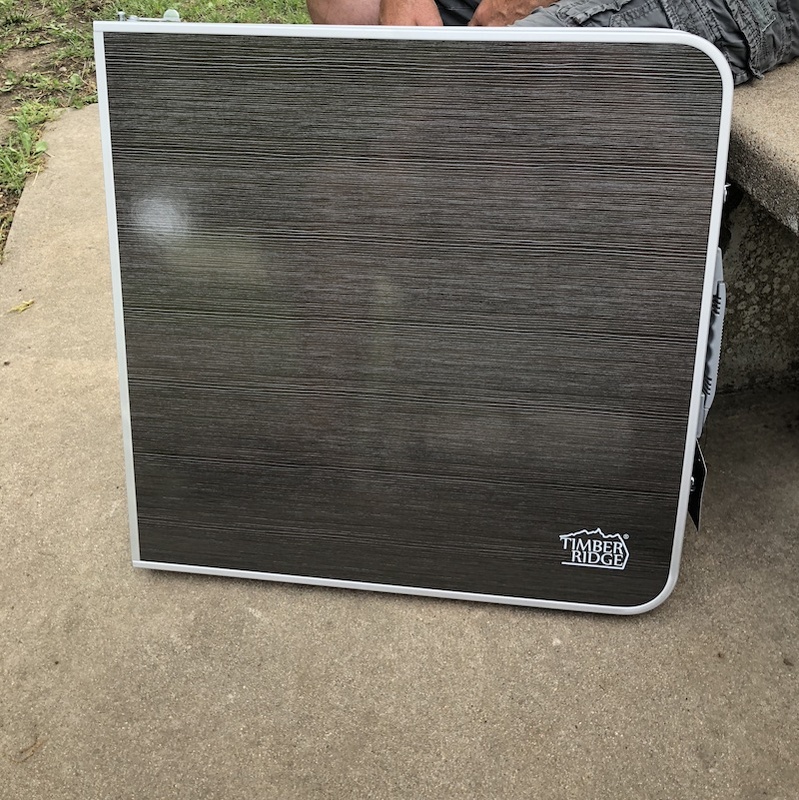 It can be used as a coffee table or kid’s table at 21 inches or for your grill, griddle, food or whatever you need to use it for at 28 inches. And don’t worry about burning it with your grill as it has a heat resistant table top and a powder coated frame. 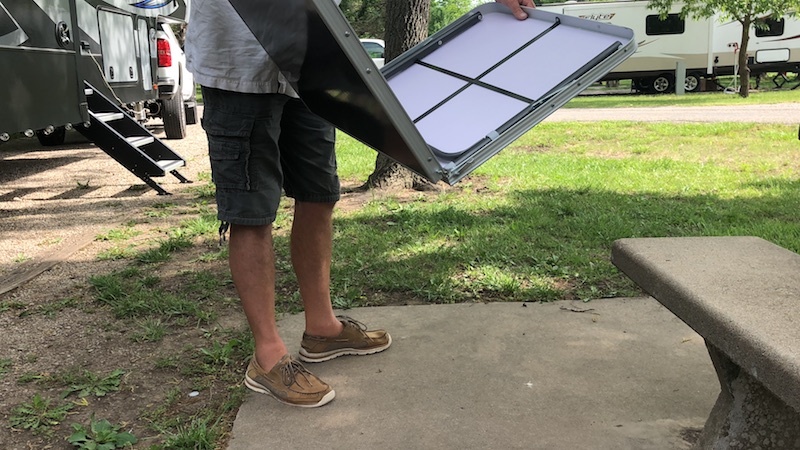 When folded up it takes up little space and fits into tight spots at just 26 x 3.5 x 25.5 inches. It has a handle strap for easy carrying and a locking clasp to keep it closed. Of course the table isn’t just for camping. It can also be used indoors and is perfect when my grandkid’s come over. Whether they need a spot for eating or doing crafts, it’s the perfect table to have on hand. Be sure to check out all the other Timber Ridge products that they carry which include wagons, chairs, tents and so much more. 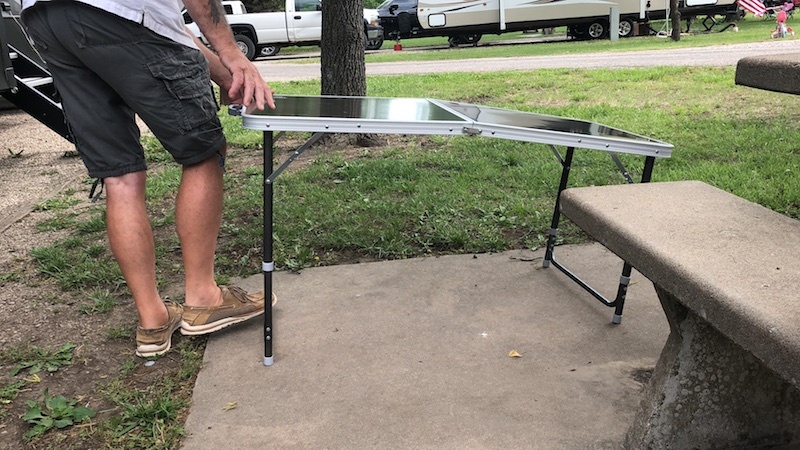 The adjustable height folding camping table is available on Amazon.com as well as all the other products.